We’re calling on Jim for our county’s highest law enforcement position. You can bet his tenure will continue to be one of honor and selfless service to our community. 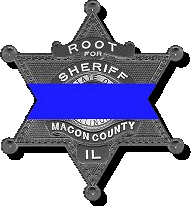 I support Jim Root for Macon County Sheriff. Jim Root is a man of impeccable character and integrity. He has excellent administrative and leadership skills which he has demonstrated throughout his career as a deputy, command officer and most recently as the Emergency Management coordinator for Macon County. In my 50-year career as a county firefighter and fire chief, I have had the experience of working with the sheriffs and deputies of Macon County. I have observed Jim in a variety of situations of the emergency and non-emergency category and have been impressed by his ability to work with people and listen to them concerning their issues. Jim has the ability and experience to quickly and decisively develop plans to address issues effectively. My observation is Jim is more than qualified to be elected and serve as Macon County sheriff. This election is not about electing a "buddy." It is about electing a person who has demonstrated the desire, ability and qualities needed to lead the Macon County sheriff's office in an efficient and effective manner. I have known and worked with Jim Root for almost 14 years. I was one of several people who encouraged him to run for Sheriff. I did not encourage him because he was the best option, I encouraged him because he is the only qualified candidate on the ballot in this upcoming General election. Jim is the kind of man who does the right thing, even when no one is looking. Jim is the kind of man who does the right thing, even when it isn’t popular. Jim has leadership experience, not only by title, but by merit and action. Some say Jim isn’t as well “known” as the other candidate. The reason for this is Jim has spent his entire career working hard to execute the agenda of the Sheriff. Jim has sent numerous dangerous criminals to prison. Jim has actually led Deputies as a Patrol Sergeant, Jim has been preparing, preventing and planning for natural disasters and active shooter events for all of Macon County. Jim knows how and has actually managed a budget. Jim may be less known because he’s not a handshaking bureaucrat. He is however, the Sheriff Macon County needs. Jim’s integrity and morals are unmatched. Not only will I be voting for him, but I will be telling everyone I know and asking everyone I don’t know to vote for Jim Root on November 6. During my nearly 29 years in Law Enforcement, I have had the opportunity to interact and work with Jim Root in a variety of ways. Whether it was in his role as a Narcotics Officer, Command Officer, or in his current position as the Macon County Emergency Management Coordinator, Jim has demonstrated his willingness to work with various community partners from both the public and private sectors to ensure public safety. Jim is a dedicated professional that is sincerely focused on law enforcement issues that affect the Macon County Community which he has served for the past 20 plus years. During Jim’s career, I have observed his steadfast leadership through his planning and response training for a variety of natural and/or man-made disasters. One such draft example can be seen here: Redacted Macon County Mitigation. In his role as a Narcotics Officer, and as a Special Response Team Member (SRT), Jim has had to make tough and timely decisions. These choices not only affected the outcome of the investigation and/or event, but the safety of those involved. Jim is not flashy or looking for the limelight, but has an exceptionally strong work ethic and gets things done with integrity. I believe Jim Root is the best overall candidate, and I support him to become the next Macon County Sheriff. For twenty one years, I have worked in law enforcement alongside Jim Root. During that time, I found Jim to be honest, reliable, and task oriented. These traits have proven to be important while serving together on special assignments. These same qualities are essential for strong leadership, which is what Macon County needs. This is why I support and endorse Jim Root for Macon County Sheriff. I am asking for you to join me in voting for Jim Root for the position of Macon County Sheriff on November 6th. I’ve had the opportunity to work side by side with Jim for several years when he was assigned as a narcotics officer. Since leaving the narcotics position for a promotion, I have worked with Jim on several other issues. The thing that I respect most about Jim is his honesty. Jim will give you an honest answer, sometimes, not the answer you want. It makes no difference if you’re a friend, co-worker or total stranger, Jim will give you an honest answer. If he can assist you, he will tell you that. If he can’t assist you then he will tell you that. Jim will not give you the answer you want just to get your support. During his time at the Sheriff’s Office, Jim has held several positions and has been involved in operating a budget. Jim is extremely qualified to handle the county budget and handling personnel issues. Every decision Jim makes will be what he feels is best for the citizens of Macon County. In my 23 years of law enforcement experience, I have met many good leaders and a few exceptional leaders. I have also learned the type of person it takes to lead the Sheriff's Office into the future, both for the betterment of the employee's of the office as well as the community. In my professional opinion, Jim Root is that person. Jim is an exceptional leader that consistently goes above and beyond in his dedication to the office and the community, in addition to protecting the rights of not only suspects, but also employees. I have personally observed several Sheriff's in my time insist on consulting with Jim when difficult decisions need to be made regarding many aspects of the office. Jim has refused to make any promises to anyone in exchange for support in this election, except to the voters to be an exceptional Sheriff. Join me in voting for Jim Root to be our next Macon County Sheriff. Let me introduce myself. I am Cloyd Thomas and retired from the Macon County Sheriff’s Office after 26 years of service. When I retired I was the Lieutenant in charge of the Patrol Division. I have worked under the direction of four different sheriff’s during my tenure. Jim Root was hired in 1996 and assigned to the patrol divisions 3 rd shift . During that time, he excelled in all aspects of the patrol division including but not limited to Driving While Intoxicated enforcement. Jim has shown he has the capability to make the right decisions for the task at hand. He has always shown the ability to take an assignment and complete it in a professional and timely manner. After my retirement I continued to follow Jim’s career at the sheriff’s office and was always amazed of his advancements. Jim has shown he has the temperament, training, knowledge and dedication needed to take charge of the Sheriff’s Department. He has proven leadership qualities, is community orientated and always ready to do what is needed to get the job done. It is my professional opinion that Jim Root has all the qualification needed to be elected as the next Sheriff of Macon County. It is an honor to endorse Jim Root for Macon County Sheriff. I have known Jim and his family for over 20 years and am confident that he will be an excellent sheriff. Jim has a vast and varied amount of experience in law enforcement. He has worked on the streets of our county performing duties and investigations that many would find very challenging. He is very aware of the drug and opioid problem in our community and has the ability to deal with it directly. Jim has strong leadership skills. He is a Marine Corps veteran, and has served in various leadership roles as a deputy sheriff. Jim has done an outstanding job as Director of the Macon County Emergency Management Agency, and has worked effectively with other agencies and groups in our community. He has considerable experience in making decisions which impact many others, and has the ability to solve problems effectively. Jim communicates well and converses well with people of various ages and backgrounds. He has a commanding presence, but a gentle spirit. He is compassionate and treats others with respect. He is well respected by his colleagues and those he works with. He has a good sense of humor and acts appropriately when at work or off duty. Jim has experience in budgeting and contracts which will be very important in his position as sheriff. He is fortunate to have had experience working closely with Sheriff Buffett in both budgeting and administrative duties. Most importantly, Jim Root is a man of integrity. He is honest and trustworthy, both professionally and personally. He has a supportive wife and family, and is respected by those who know him. Jim will not be swayed by special interest groups, and will stand upon firm principles as outlined in our Constitution and laws. He has the physical and psychological fitness to deal with the many challenges one faces in law enforcement. He is a man of faith which is evidenced by his daily walk. In summary, Jim Root has the experience, leadership skills, and character to uniquely qualify him for the position of Macon County Sheriff. I encourage you to get out and vote on November 6 th , and ask you to please vote for Jim Root. For 20 plus years I was in Law Enforcement in one capacity or another. I worked under several Sheriffs and Chiefs. I know Jim Root to be a man of principle, driven in his goals to do the best job he can at whatever position he holds. Be it a Patrol Deputy, Union President, Narcotics Detective, Sargeant or Lieutenant. Jim is a no nonsense kind of guy, he does not sugar coat what he has to say. He tells the truth even when it does not benefit him. He will not tell you what you want to hear and then pass the blame to someone else when nothing happens. Jim Root plays by the rules, promises no one favors for his support and believes that promotions are achieved by merit, not friendship. The position of Sheriff is an elected one, we can debate whether that is a good thing or not. Jim Root is not a politician, the Sheriff's Office does not need a politician at the helm. It needs a leader, someone accountable to the taxpayers as well as the employees. Someone who will evaluate each and every position to be sure that the taxpayers are getting their money's worth when it comes to services. Someone the employees can look to for guidance, knowing that the decisions he makes are for the betterment of all concerned, not just a select few. Please join my family, friends and I and vote for Jim Root as the next Macon County Sheriff. I spent 29 years with the Decatur police Department, several of which was with the DPD Street Crimes Unit and the Illinois State Police Narcotics Task Force. During that time I had the pleasure of working side by side with Jim Root when he was assigned to the narcotics unit, representing the Macon County Sheriffs Office. Jim was an extremely hardworking, dedicated and honest narcotics detective. Jim's work with the narcotics unit helped make Macon County a better and safer place to live and work. I believe that Jim has the qualifications and leadership to become the next Sheriff for Macon County. I have been in law enforcement for 23 years and have worked with Jim Root for 22 of those years. Jim has been promoted within the sheriff's office first from Deputy to Sergeant and then to Lieutenant. Both promotions have been made based on his work ethic and leadership skills. Jim has been a great friend over those 22 years, whether it be lending a helping hand on weekend projects or checking in on my family when life isn't so fair. Jim is a worker on everything he does and never leaves a job unfinished. This is why I support and endorse Jim Root for Macon County Sheriff. This family supports Jim Root for Sheriff. Together we have over 32 years of law enforcement experience. If you include our time as commissioned officers in the US Army Military Police Corps we have nearly 50 years of experience in leadership and service to our country and communities. We have both worked for some of the best leaders the military and law enforcement have to offer. Jim Root is included in that exclusive list. Having had the opportunity to personally work with him and know him as a leader and friend, we can unequivocally say that Jim is the best candidate for the next Sheriff of Macon County. His credo of Integrity, Leadership, and Accountability are more than just words. They are a core of values that he lives by and expects each of his peers to believe in as well. I have personally seen him make the hard decision when he could have simply deferred to the easiest answer. Jim will be a Sheriff that will always stand by the decisions that have to be made on a daily basis in a law enforcement organization. He will not shy away from the problems that we are confronted with; but rather, meet them head on. Though he may seem like a gruff, straight laced, former Marine we know the side of him that cares about his fellow officer, veteran, or neighbor down the street. His passion for this job is unparalleled. On November 6th, this family will gladly vote for Jim Root as your next Macon County Sheriff. I had the privilege of working for the Macon County Sheriff’s Office for 32 years. I worked in the corrections division, patrol division, investigations division, and as a command officer. I worked side-by-side with Jim Root as a command officer. Jim Root is a strict, but fair command officer as well they devoted husband and father. Jim Root has displayed great leadership skills as the coordinator of the Macon County’s Emergency Management Office. Jim Root is by far the best candidate for your next Sheriff of Macon County. Please join me in voting JIM ROOT for Sheriff!! Having known Lt. Jim Root for over 20 years, I enthusiastically endorse his candidacy to be the next Sheriff of Macon County. I believe Jim is the best qualified person to continue the legacy of fiscal responsibility and transparency of the office. Jim has earned the respect and support of dozens of current and former law enforcement officers. Lt. Root’s unblemished record of service to our country and Macon County have earned my vote. 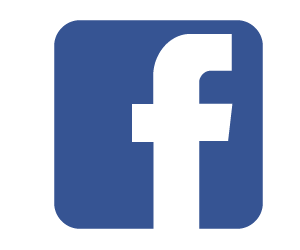 My name is Todd McKenzie and I am a retired Decatur Fire Department Battalion Chief. I have known Jim Root for many years; we actually grew up in the same neighborhood many years before we became public servants. I have worked with Jim on occasions when he was commanding the Emergency Management agency for Macon County. I think the Citizens of Decatur and Macon County would be well served to elect an outstanding law enforcement officer of Jim Root’s caliber. Please get out and vote on Nov 6 and join me in voting for Jim Root for Sherriff. Integrity, loyalty, and trust are just three qualities important in an individual running for public office. Not only are they important, but I feel mandatory to properly carry out the duties required for their position. Integrity is defined as the quality of being honest and having strong moral principles, or moral uprightness; to hold oneself to consistent standards. Jim Root exhibits these core values and many more. A corporal in the Marines, Jim's late teen and early 20's were proudly spent serving our country. For 22 years, Jim has been dedicated to keeping our streets safe with the Macon County Sheriff Department. His dedication and strong work ethics have allowed him to currently hold the position of lieutenant with the department. Jim is a loyal and dedicated husband and father. His unwavering faith in God is apparent in the way he carries himself on a daily basis and will be ever so important as he Jim Root is a man of integrity, a loyal man, and definitely someone we can trust to take Decatur and the surrounding communities into the future. On Nov. 6, make sure you cast your vote for the candidate who has proven he's the man for the job.